Biographical: He was purportedly killed at a regional meet in spring 1985. He resided in Winston-Salem, North Carolina. Research has been unable to find any other information about him. 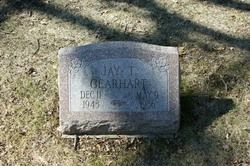 Biographical: He was killed when his motorcycle got off the paved part of the race track and slammed into a guard rail. Two years later, his wife, Sonja Blades, brought a $10 million lawsuit against the race track and International Drag Bike Association. She alleged that the race track was at fault for not canceling the race because of high, gusty crosswinds. He was from Ohio. 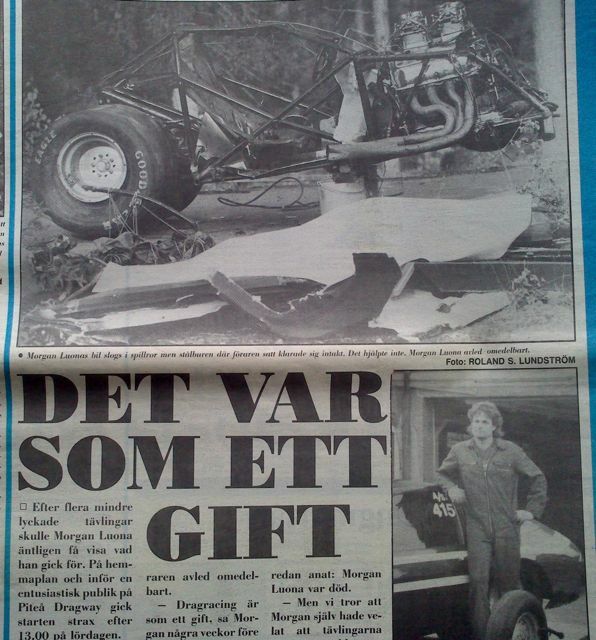 Biographical: When his car caught fire during a run at about three-quarter track, he lost control and his car went airborne. He then struck a retaining wall and the fuel cell exploded. He was trapped inside the car upside down. Unfortunately he had decided not to wear his fireproof Nomex underwear because the day had been so hot. He suffered severe burns because of this decision. 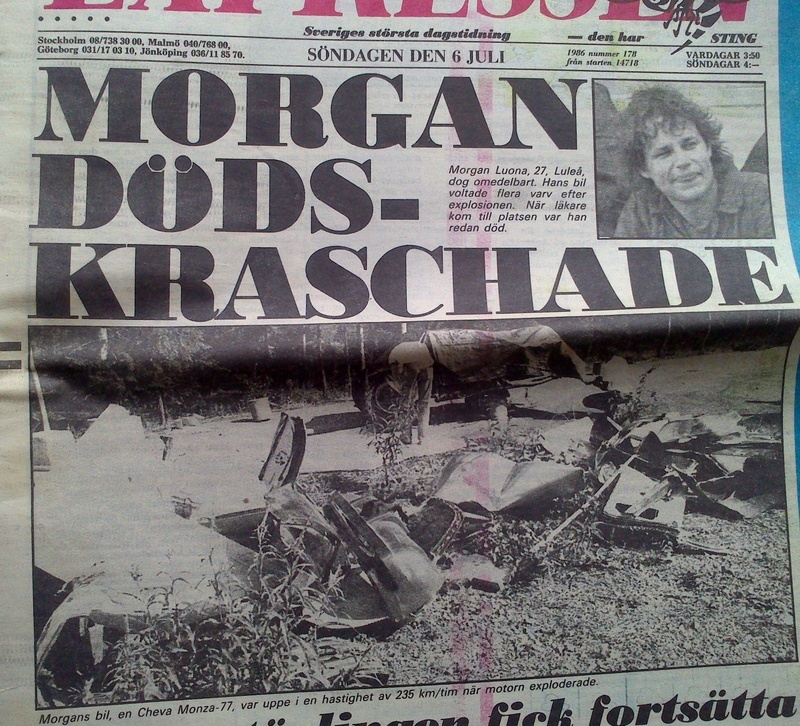 He was transported to Hockenheim hospital where he died a week later from severe injuries and burns. 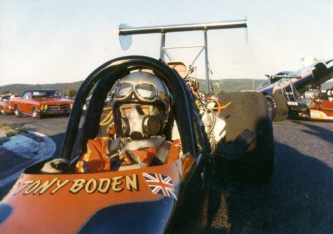 He lived in England where he had begun top fuel and funny car racing in 1981. He had turned a best time of 6.27 in the funny car. He was from Wincanton, Somerset, England. Biographical: After his car ran out of control and flipped over, he was transported to a local hospital. With severe head injuries, he was then flown by helicopter to Southeast Alabama Medical Center where he died early the next morning. He was from Duncanville, Alabama. 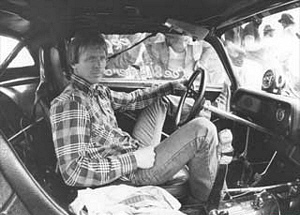 Biographical: He had just finished a qualifying run at 137 MPH when the engine on his car blew up. It skidded in its own oil and swerved across the lanes. It flipped three times and went over the guard rail. It came to a stop 100 feet from the race track in the woods. He was transported to West Jersey Health Systems in Berlin, New Jersey, where he was pronounced dead on arrival. He suffered multiple injuries. He lived in Springfield, Pennsylvania. Biographical: After being timed at 8.03 seconds and 177.16 MPH, he overshot the drag strip and flipped upside down in a canal. He was estimated to be traveling at about 150 MPH when he went into the 12-foot deep canal. His parachute didn't open properly. He steered to the left at the end of the race track to avoid the safety net. If he would have hit the net, he probably would have survived. He was taken to Jupiter Hospital, but had already succumbed. He was from Miami, Florida. Biographical: His car skidded off the track at 135 MPH and rolled several times. He was pronounced dead at the scene. He was from Kalamazoo, Michigan, and was . 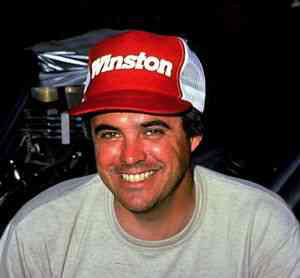 "Don Cerio's death believed to be the third fatality at Martin's U.S. 131 Motorsports Park," MLive.com, May 8, 2012. 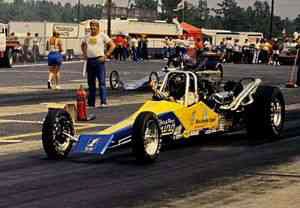 Biographical: During that day's time trials, he had clocked a time of 5.68 at 250.55 MPH in his T/F dragster. 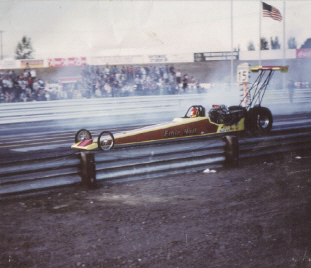 While repacking the parachute on his dragster in the pit area, he collapsed with a heart attack. 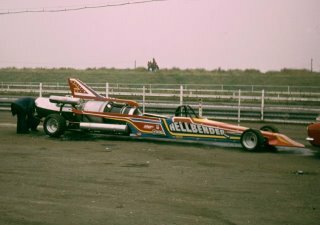 He had been a drag racer for nearly two decades. He was taken to Harbor View Hospital in Seattle where he was pronounced dead on arrival. He owned a fire-truck building company in Cornelius, Oregon, where he lived. Biographical: He was killed while making a qualifying run. His best speed in the quarter mile was 258 MPH. 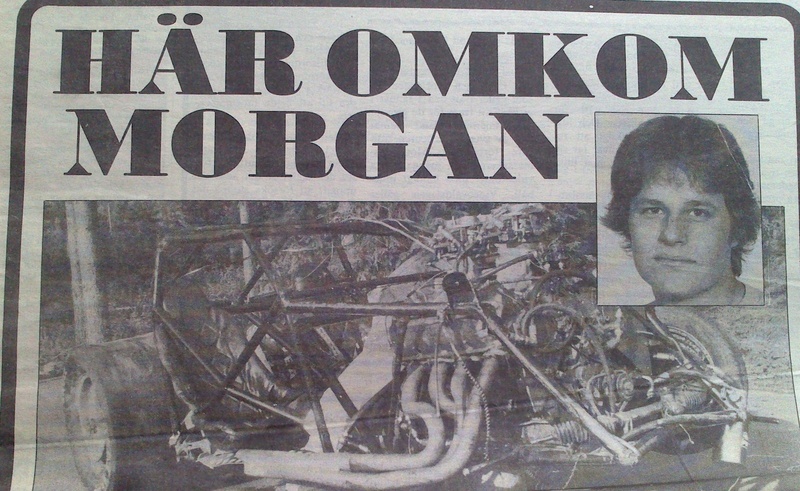 This is Hasselström's first funny car that he bought in 1977, the "Denim Machine" Monza. 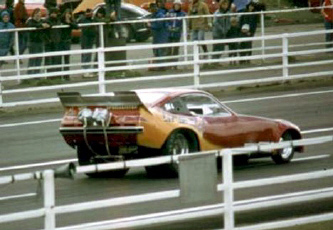 Hasselström competed with this Camaro FC in 1987. Biographical: He died from a crash at an event designed to introduce drag race fans to the new class of Pro Mod. The car class was so new that they weren't even called Pro Mod at the time. They were given the name Pro Slammers or Outlaw Pro Stocks. Sixteen of these cars were invited to Atco. Henry made it into the second or third round before his fatal crash. He started in the right lane, but careened over into the left lane, where he got hung up scraping along the guard rail. He hit the finish line I-beam barrier head-on and was killed instantly. The guard rail had been constructed to protect a racer from hitting the I-beam, but Walter's approach from the opposite lane caused him to get around the configuration in an unprotected direction. In addition to racing another car on that fatal run, he was trying to back up a 200+ MPH run he had made earlier. His wife and teenage son were among the spectators. Car: After his engine exploded, Hudson was partially thrown through the car's window and the car rolled over him three times. He was from Sterlington, Louisiana. Biographical: While racing in the left lane, he lost control of the car at over 130 MPH, rolling over several times. Biographical: He was killed when he lost control of the car halfway down the track. His car flipped several times and landed on the roof. He was taken to a local hospital where he was pronounced dead. He was from North Branford, Connecticut, the son of Edward H. and Lucille Krista. He was also survived by his siblings, Edward, Gerayln, Scott, Maureen, and Christopher. Biographical: He crashed his car during qualifications. He lived in Luleå, Sweden. Biographical: He sped off the end of the race track through a catch fence and past a sand trap. He was from Martinez, California, and was survived by his wife, Elaine. 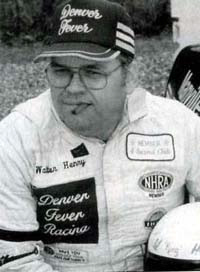 Biographical: A reader wrote that this racer's death resulted from a fatal drag racing accident. More research is needed. Biographical: He died in a collision with another vehicle. He was transported to Newton County General Hospital where he was pronounced dead. He was from Decatur, Georgia. Biographical: He lost control of his car at 138 MPH and it rolled over. He lived in Plantation, Florida, and was survived by his wife and two sons. Biographical: He died during qualifying on the very first opening race for Willowbank's new drag strip. The car went up and over the guard rail. The bottom loop of the harness pulled through the floor so there was nothing to secure him and he was ejected from the car. Biographical: He was making a time trial run in his nitro-fueled car in which he was clocked at 168 MPH. After crossing the finish line, his rear tires lost traction and the car began slipping sideways. The car went off the race track, struck a guard rail, and burst into flames. Track personnel extinguished the fire and removed Shepard from the vehicle. He was transported to St. Catherine's Hospital in Kenosha where he died about two hours after the accident. He was from Oak Forest, Illinois. Biographical: He was preparing for the forthcoming Gatornationals and had leased the race track to test a new car. It was extremely windy. He had just finished a practice run and deployed the parachute. The front end of the car came off the ground and he lost control. The car veered to the left and Shepherd had the wheels turned to the right to correct it when the front end came back to the ground. It rolled several times and landed upside down. At the impact, he was ripped from his harness and thrown from the vehicle a distance of 163 feet. He was transported to an Ardmore hospital, but was pronounced dead on arrival. The severe crosswind was determined to be a major factor in causing the accident. 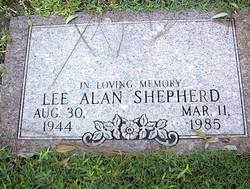 He was a resident of Arlington, Texas, and was a five-time national drag racing champion in Pro Stock, four times in NHRA and once in IHRA. 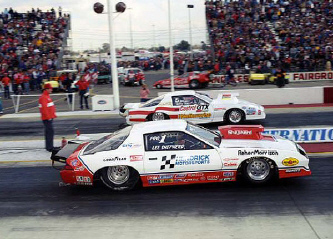 He had garnered 29 NHRA national event wins. He had been racing since 1970. Biographical: After passing the finish line at an estimated speed of about 150 MPH, his dragster collided with a deer that had run onto the race track from the nearby woods. He had run 8.95 seconds in the time trial and the collision was of such force as to cause the car to stop quite quickly. Although safety personnel reached the scene quickly, Simpson soon died. Eyewitnesses reported that the deer's body slammed into Simpson's helmeted head. He was from Streator, Illinois. Biographical: He was driving a relatively new car and the vehicle kept speeding after the finish line. He sped off the end of the track, hitting five trees before the car finally came to a stop. Authorities thought the accelerator may have stuck. Biographical: He crashed his car during a qualifying round. He was from Austin, Texas. Biographical: A professional motorcycle racer, Williams lost control of her bike and hit a guardrail. She was transported to the Orangeburg Regional Medical Center where she was pronounced dead. She was from Hudson, Florida. Biographical: He was racing Colin Fallows in a side-by-side jet car race. At the top end, Woodley took a hard left turn from the right lane into the crash barrier. He was killed upon impact. 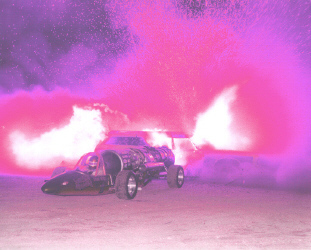 As a result of this crash, all subsequent jet car exhibitions in Great Britain have been solo runs. Biographical: He had just finished a run against Eric Hinderberger of Cincinnati in the second round of eliminations when it appeared that his front disc brakes appeared to lock up at the finish line. His dragster veered sharply to the left, crossing behind his opponent, whereupon he smashed into the left guard rail and support post. He was traveling at a speed of about 145 MPH at the time of the impact and was thrown from the vehicle. He died instantly. He was a resident of Carrollton, Georgia, and was survived by his wife, Pam, and two young children, April and Scott. 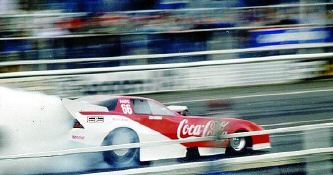 He was the IHRA world champion in 1984 in the Quick Rod category. 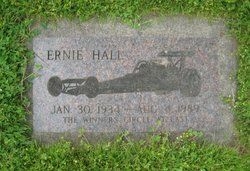 He had a substantial lead over his nearest competitor in the point standings in 1985 in the Top Sportsman category at the time of his death and garnered the title (although posthumously) for the second year in a row. 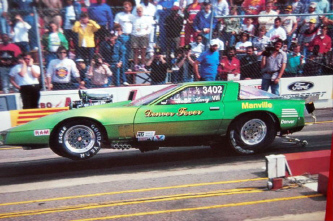 He had been a professional drag racer since 1976. Biographical: He was traveling at about 139 MPH when he crossed the finish line on his fourth run of the day. At the end of the run, his parachute failed to open or was not properly deployed. He died when his car went out of control, skidded 600 feet, became airborne, and hit a tree. He was transported to Pittsfield Hospital in Massachusetts, where his death certificate was filed. He used special hand controls because he drove with both legs being amputated. He was from Westfield, Massachusetts, and had raced for about twelve years.